Summer Breezes Are No Match for This Shawl! Summer nights can be chilly! When the sun starts sinking slowly in the west, it’s time for the crochet shawls to come out to play. If you’re looking for a summer accessory you can complete in no time, you’ll definitely want to check out the Summer Breeze Shawl kit. This cuddly wrap will be done before you know it, so you’ll be prepared for plenty of nights spent watching the stars. Created using 3 hanks of Mrs. Crosby Loves to Play Satchel and measuring almost 70 inches across, this shawl will quickly become your go-to wrap, and with good reason. Satchel is a single-ply 100% merino wool yarn that is so squishably soft, it might become your new favorite! While the softness of the yarn should entice you to consider this kit, let me talk about the pattern. This simple, beginner-friendly pattern is so repetitive you’ll be able to work on it anytime, anywhere. After the first few rows, it’s worked in a 3-row repeat pattern, and once you get the hang of it, you’ll be good to work straight through to the border. 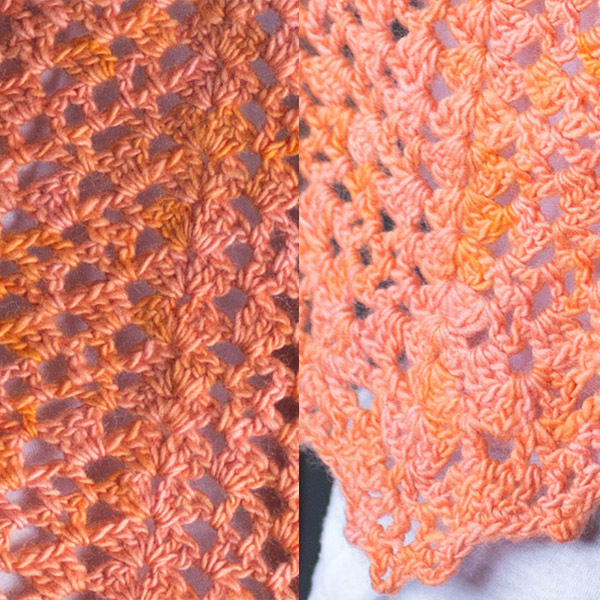 The border varies slightly from the body pattern, but it’s a beautiful addition to an already awesome shawl. Can’t wait to get this shawl on your hook? Neither can we! Finished Size About 68 1/2″ wide and 24 1/2″ deep at center point. 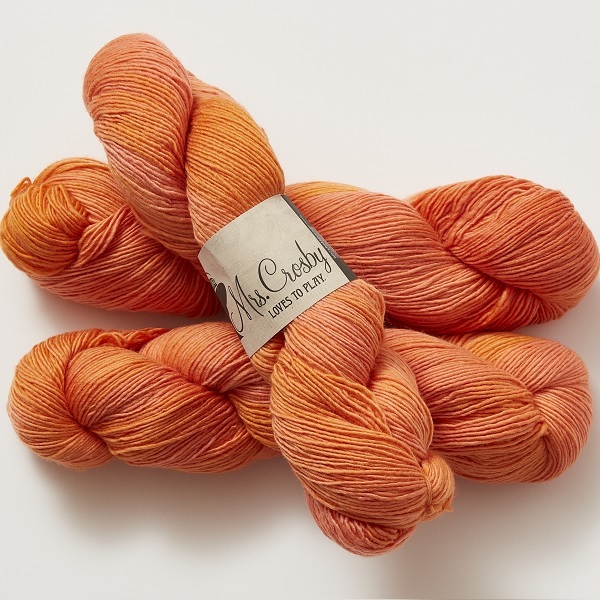 Specific Yarn Used Mrs. Crosby Loves To Play Satchel (100% superwash merino wool; 370 yd [338 m]/3 1/2 oz [100 g]; spicy habanero, 3 hanks. Notions Yarn needle; removable stitch marker (m), 1. Gauge Rows 1–9 = about 11 1/2″ wide and 4″ tall in main patt, blocked. Will you be adding the Summer Breeze Shawl to your wardrobe? I certainly hope so! Let us know in the comments! 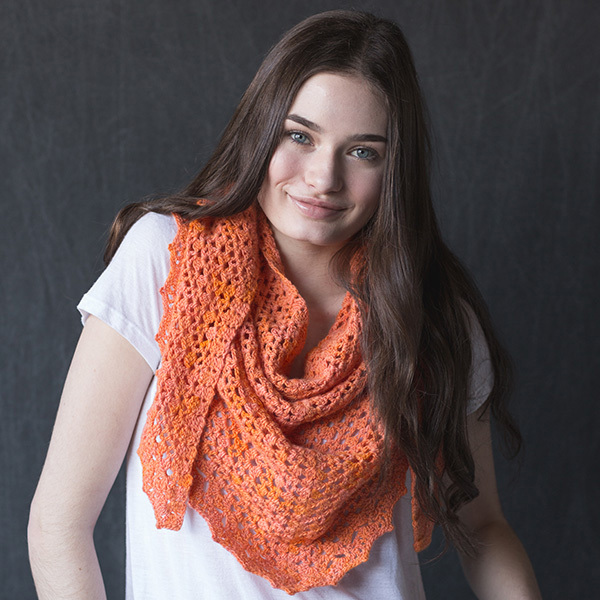 PS – If you liked this shawl, check out some of our other patterns by Sharon Ballsmith!